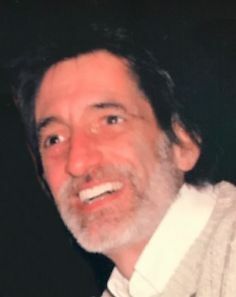 FARINA, Mark D., of Hanson, formerly of Braintree, passed away unexpectedly, after a lengthy illness, on January 28, 2019, at the age of 69. Born and raised in Braintree, Mark was a graduate of Archbishop Williams High School. He was the owner and operator of his family’s business, Kitchen’s by Farina in Holbrook, for over 25 years. A devoted husband, father, son, brother and grandfather, Mark will be sorely missed by all who were blessed to have known him. Mark was the beloved husband of Judy (Colasanti) Farina. Loving father of Lauren Frame of Halifax, Kara Reynolds of San Antonio, TX and Rachael Wilcox of Brisbane, Australia. Son of the late Silvio and Cornelia Farina. Brother of the late Paul G. Farina. Dear grandfather of Nolan Frame, Sarah Frame and Charlotte Reynolds. Relatives and friends are respectfully invited to attend a Memorial Visitation on Wednesday, February 6th from 4:00 – 7:00 PM in the Cartwright-Venuti Funeral Home, 845 Washington St., Braintree. A Memorial Service will follow at 7:00 PM in the Funeral Home. Burial will be private. Should friends desire, memorial contributions may be made in Mark’s memory to the American Cancer Society, 30 Speen St., Framingham, MA 01701.